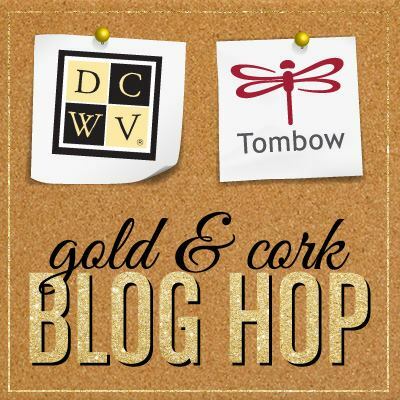 Hi and welcome to the Gold and Cork Blog Hop with Tombow USA and DCWV! 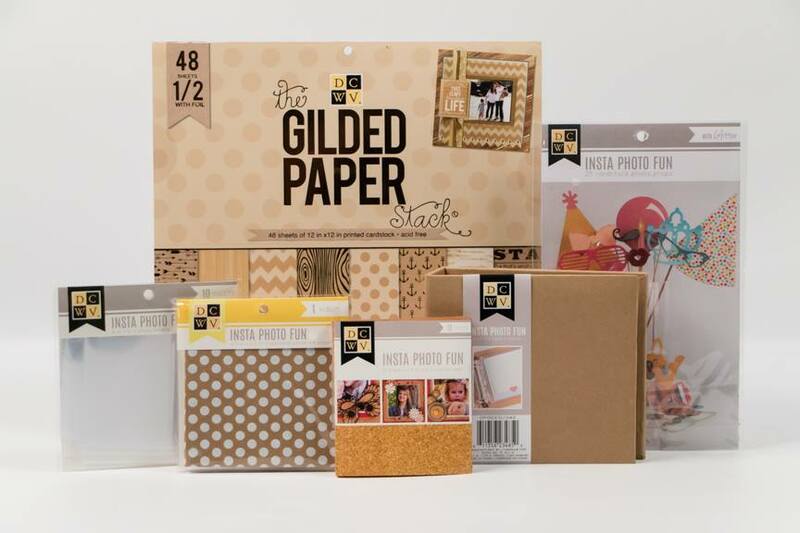 We have 2 days full with gorgeous projects using GOLD and CORK! You probably came here from Thomisia Francois but if you happened to stumble across my blog go to the Tombow USA Blog (on Friday) DCWV Blog (On Saturday) to start! For today’s hop, I decided to do some scrapbooking. This is honestly one of my favourite type of papercrafting to do, but I don’t do it nearly enough! I thought that the Gilded paper stack would be a perfect choice for a more masculine page, and I love the tones and textures of the page. The Tombow adhesives were perfect for this – I used the super quick and easy Extreme Adhesive on all of the large areas, and the new design meant that I didn’t have any of those bulky blobs at the ends. I also made good use of the Foam Tape and Adhesive Dots to get some differences in height (I love that the Adhesive dots are slightly coloured so I can see where I am putting them). I think I need to make a shaker card with this foam this weekend too! Okay, now since this is a hop, you do have some chances to win some great prizes! To win, visit and comment on the participating blog posts. You have until March 31st at 11:59 EST to comment. A winner will be picked randomly and announced on April 1st 2015. YOUR NEXT STOP IS Daniella Hayes. This entry was posted in DCWV, Page Layouts, Scrapbooking and tagged DCWV, gilded paper by Scrappy Canuck. Bookmark the permalink. That turned out nice! I love blog hopping! Great photo and layout Karen!!! LOVE the patterned papers and elegant touch of gold!!! Wonderful layout. I like the neutral colors and the touch of gold. I love your beautiful layout and especially how you popped up all the layers with the Tombow adhesives!